Roasted coffee beans are sweetened with coconut sugar and vanilla while almond milk and graham cracker provides texture to this delicious hot beverage. "Does this smell similar to the discontinued Graham cracker latte fragrance? " 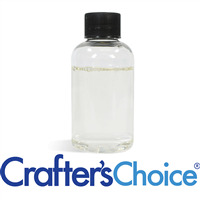 Staff Answer We do not have the discontinued fragrance oil to compare it to. The two fragrances have very different descriptions. The discontinued Graham Cracker Latte FO has notes of chocolate, graham crackers and whipped latte cream.